When it comes to priorities, increasing customer satisfaction by providing top-notch customer service should be at the top of every business. The flexibility of the Internet has made it easier than ever to provide great customer service, regardless of the type of products or services one's business sells. In today's world, customers no longer have to rely on making phone calls in order to get an answer to their questions — they can submit questions, comments and concerns via a business's website or social media page. Keeping track of "issues" (customer questions, if you will) can be difficult, however, especially for businesses that have a large customer base. In many ways, email is one of the most popular vehicles for collecting and responding to customer questions, but this is not to say that it's the most effective. Digging through email to find the information needed to give an adequate response to a customer can be time-consuming, and it's common for questions to get buried and unable to find. Customer tracking software, or issue tracking software, is one of the best solutions to this problem, as it replaces email and makes answering your customers questions a veritable breeze. To gain a better understanding of why your business can benefit from implementing customer tracking software, consider the following perks, all of which can help keep your customers' queries from falling through the cracks. 1. Centralization of your customer support requests and questions. Most people can agree that they'd prefer to have everything located in one central location rather than have to log into multiple accounts to handle a job. With issue tracking software, everything your staff needs to know in order to answer a customer's question is in one spot. You don't have to CC anyone on a message or look in a number of different spots for key information — it's all found in one single space. This not only fosters better organization, but it can save you and your staff a great deal of time, especially if answering customer questions is a big part of the day. 2. Customers can log on and track open issues. There's nothing more frustrating for a customer than sending an email and waiting for a response, all the while not knowing whether or not the message has even been read. Because customer tracking software allows you to update the status of a case, your customers won't have to worry about sitting back and waiting in the dark. The result is an added bit of trust that can go a long way in terms of customer satisfaction. If you have a large amount of staff dedicated to handling customer questions and issues, you're going to want to track their productivity to make sure they're getting answered and solved. While there are certainly a number of different methods to go about doing so, issue tracking software incorporates a productivity tracking feature that lets employees enter notes about the progress being made on specific issues. 5. Track the status of questions and answers. When a question or issue is submitted, it is typically referred to as an open case. If email is used to handle customer questions, it can be difficult to keep track of who is handling which case and what the current status is for each. Customer tracking software allows you to assign cases to specific employees who can then change the status from "open" to "in progress" to "feedback required" to "closed" ... and a number of other options you can customize. Utilize the system properly, and you'll never have to wonder what the status of a particular issue is again. 6. You can prioritize the most important requests. Getting inundated with a number of questions at one time can be a frustrating experience for even the most calm and collected employee, which is why it's so important to focus on prioritizing workflow. With email, this can turn into a confusing process rather quickly, inevitably leading to tickets getting lost, ignored or otherwise left to dwindle. With issue tracking software, on the other hand, you can prioritize your workflow so that the most time-sensitive cases are handled first, dropping cases that can wait to the bottom of the queue. 7. A built-in knowledge base. Regardless of how well-versed your employees are on the products/services your company provides, referring to documentation is almost always necessary in order to best answer a customer's question. Knowledge management software keeps all the knowledge a staff member might need to refer to in one central location, which can make finding answers fast. 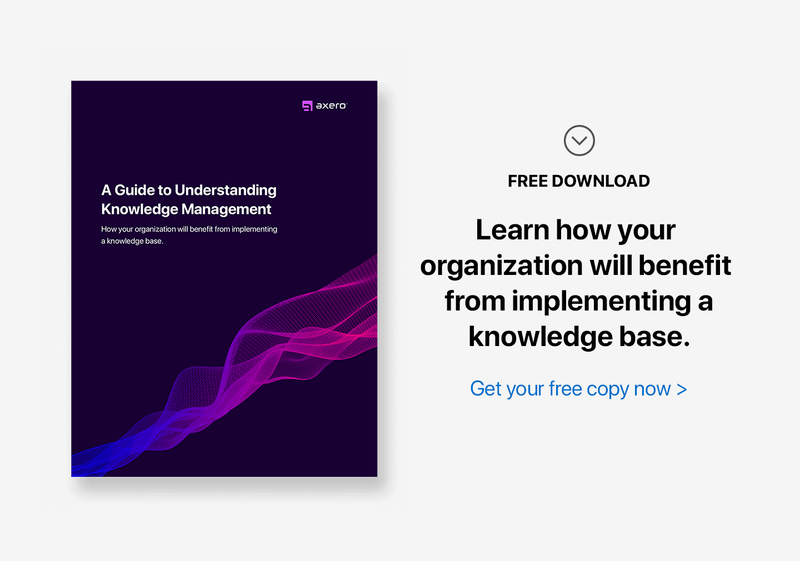 This knowledge base is especially helpful for new employees who might still be learning about your business, and to say it can save time would be a dramatic understatement. 8. Segment issues and questions by topic and department. For businesses that have a number of different departments, case segmentation can be immensely helpful. After all, your marketing department would probably not address a question meant for the IT department, so why should they both be located in the same spot? Issue tracking software allows for top-level cases to be opened, but they can also be delegated to specific spaces within the community. This way, departments only deal with tickets that apply specifically to them, rather than having to sift through cases that are meant for others to address. 9. Collect valuable customer feedback. It's important to view your customers as part of your organization. After all, they're testing your products and services for you in many ways, especially during early stages. Customer feedback, then, can be immensely helpful if put to good use. If you're using email to track tickets, you're giving up an excellent opportunity to gain feedback from customers about not only how good of a job a staff member has done at answering a query, but also regarding what it is that you're selling. Through surveys and other methods, gaining feedback via customer tracking software is a breeze. 10. Eliminate repetitive questions, refer to answered cases. Every once in a while, even the most well-trained staff member will find himself stumped when trying to answer a customer's question. In such a situation, the ability to reflect back on old cases can mean the difference between finding an answer and leaving a customer hanging. With customer tracking software, you can go back and refer to old cases that might in some way relate to the problem you're trying to solve at the moment — especially helpful for those who are new to the company. 11. Increased collaboration and problem solving. When staff members work together to solve a problem, the solution can be found much faster than if they were to work on the issue alone. Collaboration can be difficult when email is the main vehicle used for communication, however, which is where issue tracking software comes in. The right software will allow your staff to work in harmony with one another, resulting in a stronger team and faster responses to your customers' questions and concerns. Customer tracking software can be an excellent addition to your business's current suite of tools. If social customer support plays a large role in your day-to-day operations, it's a must-have.